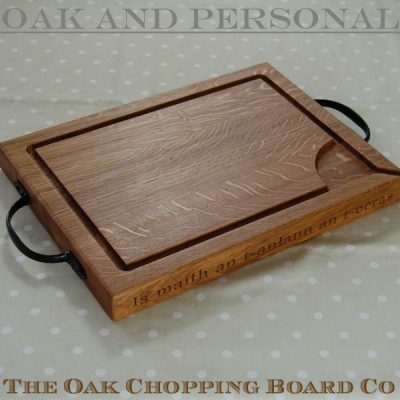 Our rectangle cheese board is beautifully hand made to order in oak and guaranteed to enhance any table. 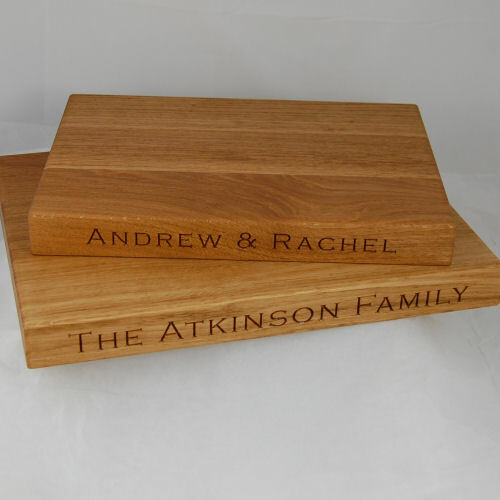 The larger sizes allowing for additional engraving design layout. 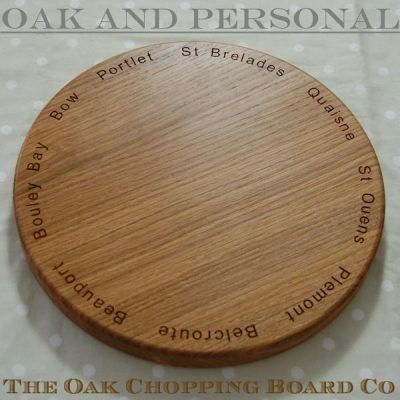 All are hand crafted using prime English or European full-length stave oak and are available in a variety of standard sizes with personalisation options to create that bespoke gift. 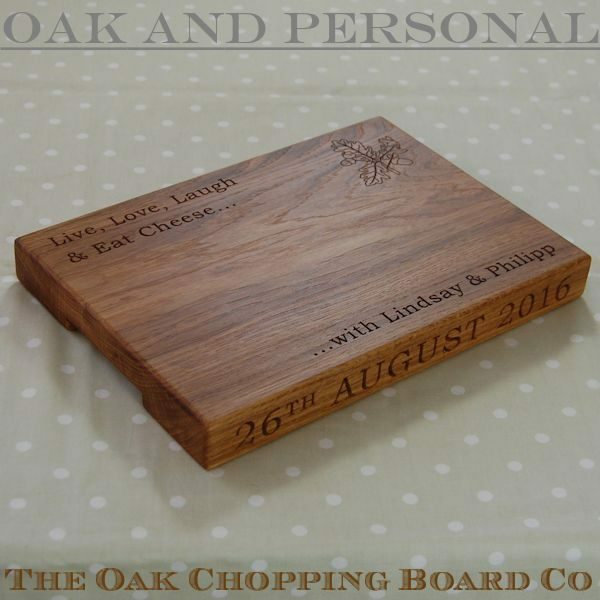 These personalised rectangle cheese boards make perfect gifts for birthdays, anniversaries, weddings, Christmas and many other occasions.With a range of sizes and two thicknesses (2.7cm and 4.0cm), we are sure to have the perfect engraved cheese board for you. 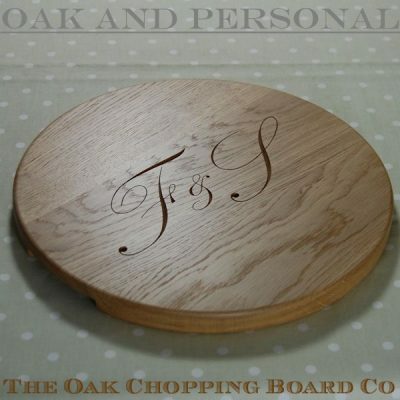 If the sizes here are not large enough, please take a look at our large personalised wooden cheese board, which measures a massive 38x50x4cm. 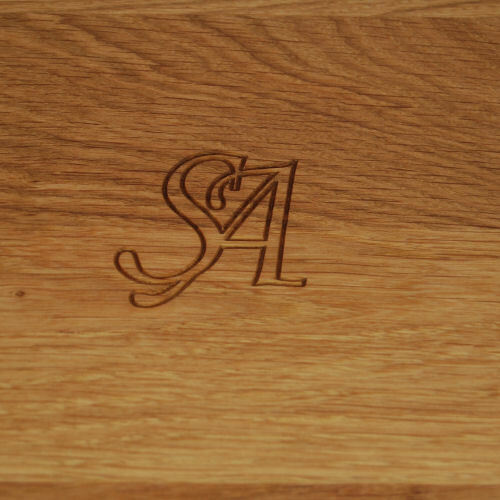 For that extra special touch, all of our boards can be personalised with a message, a design from our range of 2D and 3D motifs, or your own unique personalised cipher. 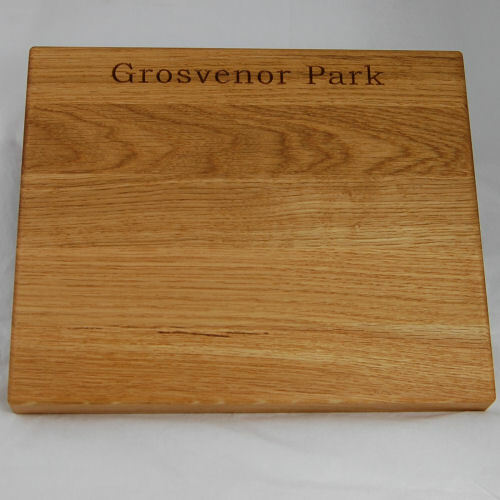 If you would prefer a cheese board with groove to collect crumbs, take a look at our chopping boards which can be ordered with an optional groove. 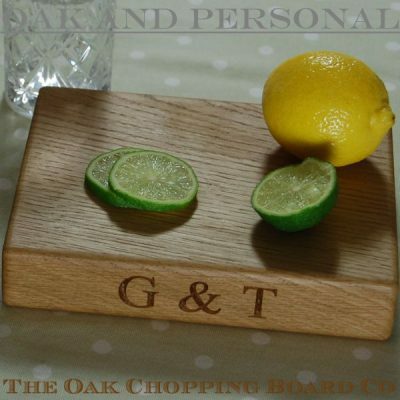 Although oak is naturally anti-bacterial, your beautiful new wooden cheese board will be treated with a blend of natural oils and waxes before it leaves our workshop. 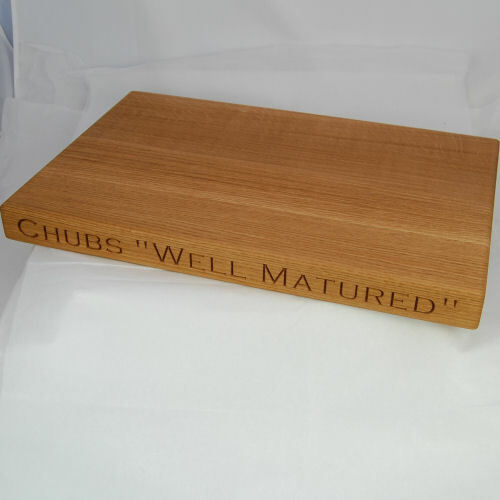 The finish primarily contains food-grade white mineral oil and beeswax, and along with other natural oils and waxes, provides solvent-free, 100% food-safe protection for wooden cheese boards. 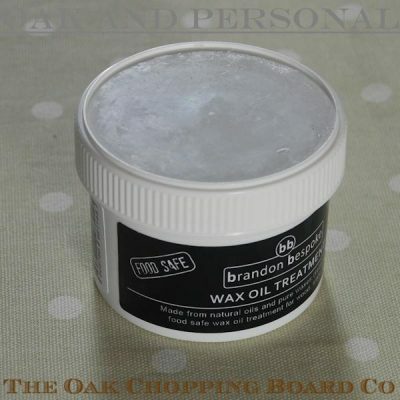 To maintain the beauty and durability of your wooden cheese board we recommend it be periodically treated with Brandon Bespoke Wax Oil Treatment. Just to say, the board was a great success at the 50th birthday dinner last Saturday night. Much praised and appreciated. 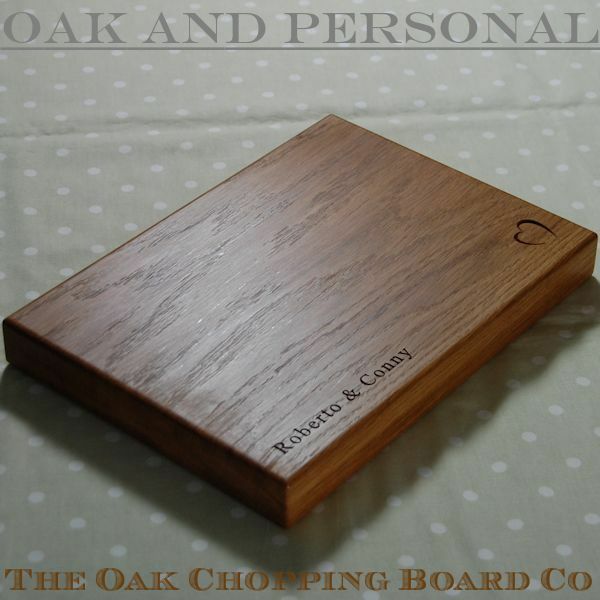 I have just taken delivery of the oak cheese board I ordered for my niece as a wedding gift. 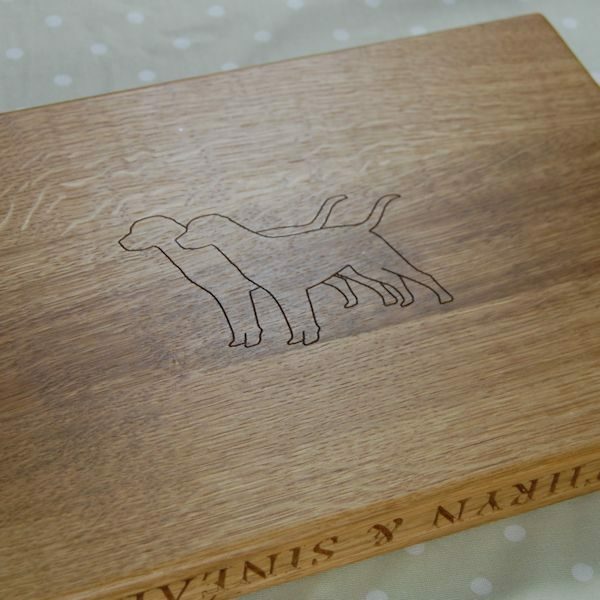 I am absolutely delighted with it and hope Hannah and Martin are equally pleased when they receive it. Hi Diana, I’m so happy with the board – I enjoy it everyday. Thank you for all your advice and please thank John for making it so beautifully. 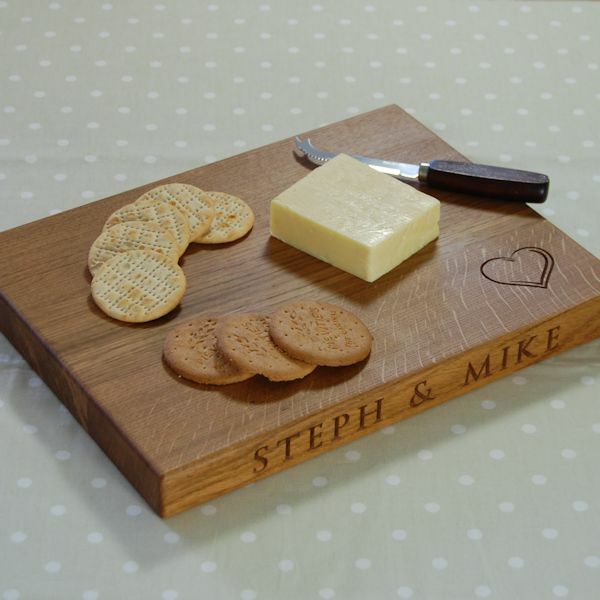 The cheese board was amazing and much admired! 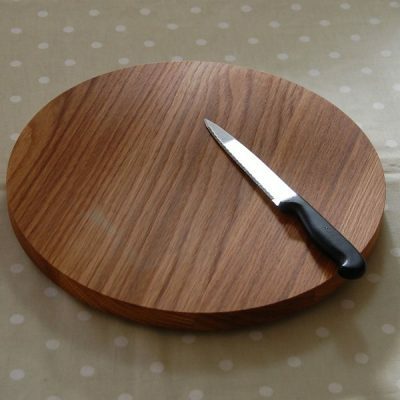 It may be my gift of choice from now on, so thank you again for such excellent work and prompt delivery. 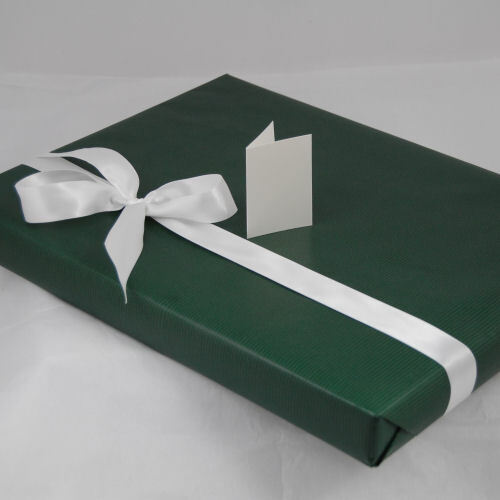 When it was presented there was a lot of discussion about what an excellent gift it is. Thank you so much. 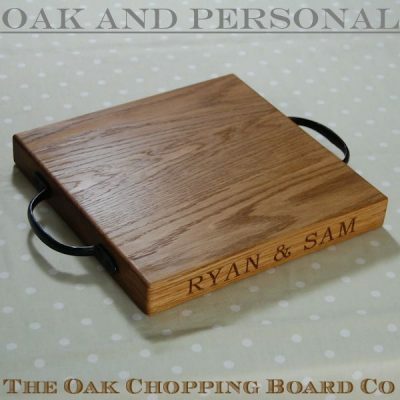 We were delighted with the engraved chopping board which we gave to our son and his new wife on their wedding day – and they were thrilled with the gift. I couldn’t fault the service, and liked the fact that I could see a mock-up of my chosen words before going ahead with the order. 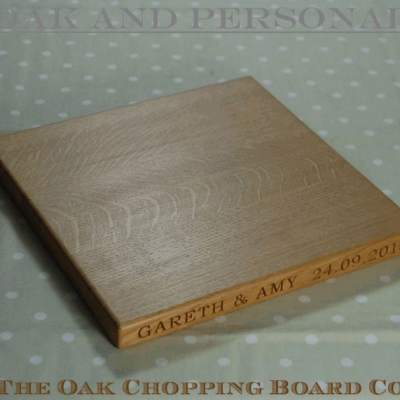 The whole process was very efficient, and I shall certainly be using this company again! 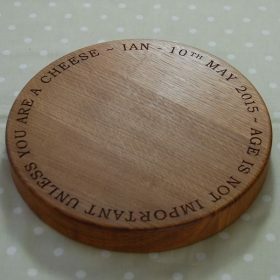 Just a note to say the cheese board has arrived safely. Many thanks for your help and advice and I’m sure my son will enjoy using it. The board arrived today – it is fantastic. 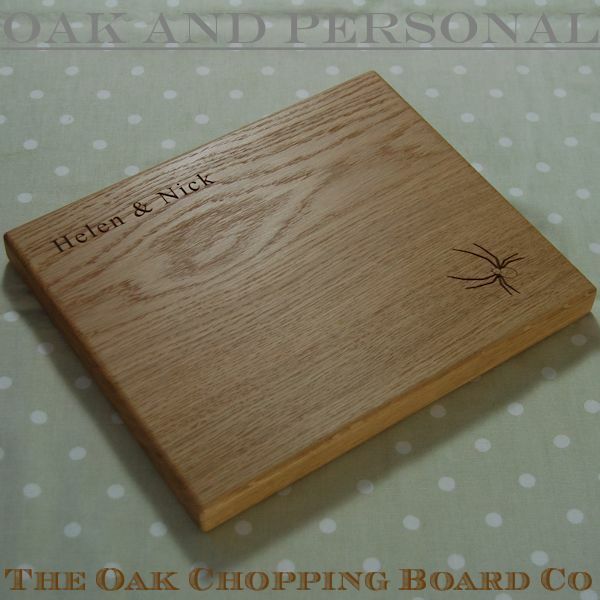 The engraving of the acorns and leaves has come out really well as has all the other engraving. 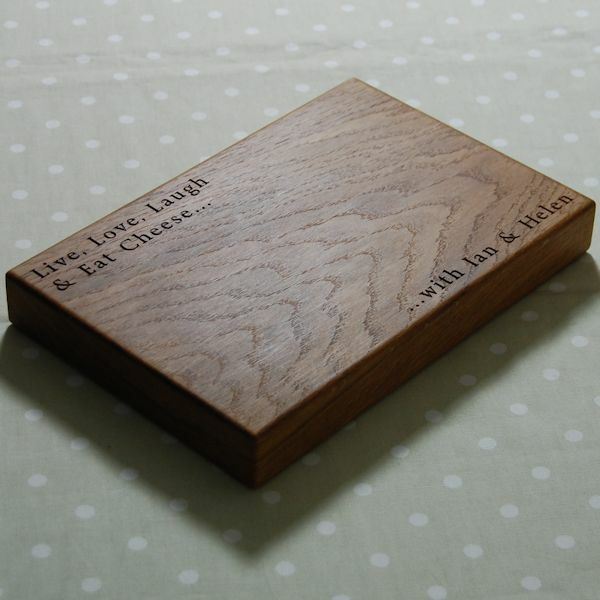 We were delighted with the cheese board as were our recipients. 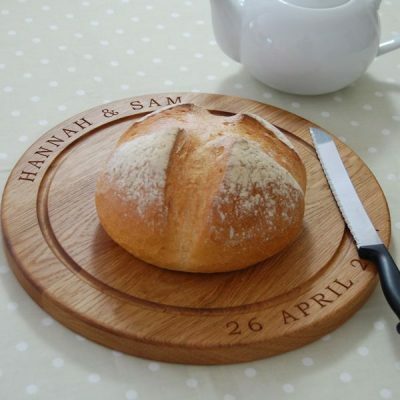 They think it makes such a good gift they will be ordering one themselves! 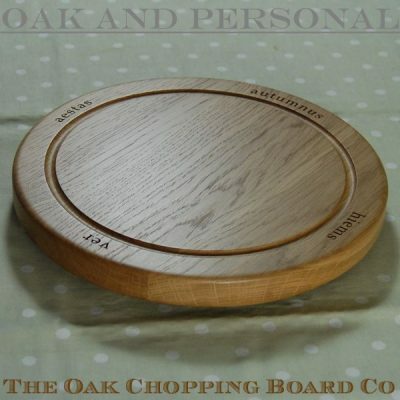 Thank you very much for the lovely oak board and for your kind and helpful service. 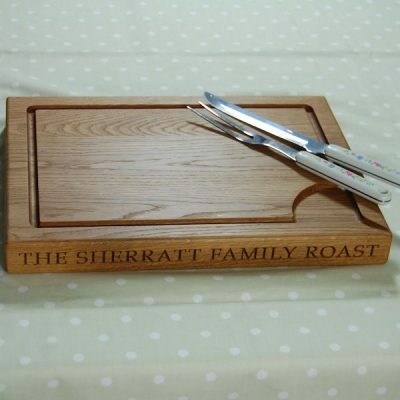 As you know the board was a present; it was a great success. The board is beautifully made.